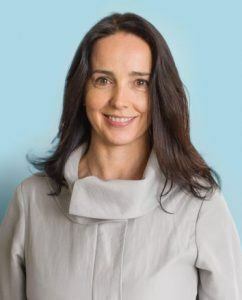 Walmart has expanded its board of directors with the addition of Sarah Friar, CFO of Square, the mobile credit card processing firm. Friar joined the board this week as a new independent director serving on the company’s audit and strategic and finance committees. Friar, 45, has served as CFO of Square since July 2012. Before that, she was senior vice president of finance and strategy at Salesforce. She also spent time as an investment banker at Goldman Sachs where she rose to the rank of managing director of equity research. Friar holds master’s degrees in economics and management from the University of Oxford and a MBA from Stanford. She also serves on the boards of computer software firm Slack as well as Relic, a digital intelligence company. Friar is the fourth youngest director on the Walmart board behind 42-year-old Malissa Mayor, 34-year-old Kevin Systrom, CEO/founder of Instagram and Steuart Walton, grandson of founders Sam and Helen Walton as well as CEO of Game Composites. Friar is also the third female on this board. In 2016, Walmart trimmed its board from 15 to 12 directors and shaved four years off its mean age which was 54 years as of June 2016, one of the youngest boards among Fortune 100 companies. In 2017, the board size was reduced to 11 with an average of 46.9 years. With the addition of Friar for 2018 the board’s average age will be 48.75 years. In comparison, Amazon, a much younger company, has a board of 10 directors with an average age of 61.1 years. Target’s board has 11 directors with an average age of 59.36 years. Alan Ellstrand, associate dean at the Walton College of Business at the University of Arkansas, said Walmart has been diligent in attracting younger talent to its board in recent years with the likes of Kevin Systrom and Marissa Mayer. Walmart has a 12-year term limit for its independent directors. James Cash, lead director for the past year, is 70 years old and has been a director since 2006. Cash should reach the 12 year-term limit this year and will likely be rolling off the board. When that happens, the board’s average will be 46.81 years, if there are no other additions or exits. Walmart has welcomed 9 new directors in the past 6 years. “I think it’s good Walmart’s board turns over regularly because having new directors can fuel deeper discussions. The company never loses its foundation with the Walton family, but having the influx of young leaders with new ideas can foster a healthy balance for the board long term,” Ellstrand said.